Business After 5 (BA5’s) are after work functions hosted each fortnight by a NorthChamber member, at their place of business or chosen venue. The BA5’s takes place on a Wednesday evening from 5.30pm until approximately 7pm and the event is catered by the host with drinks and nibbles. BA5’s are a great was to meet other like-minded people in business and make valuable connections. 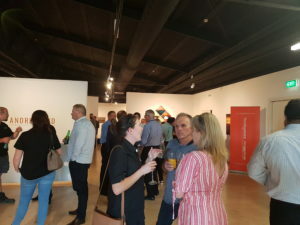 They are a fantastic opportunity for existing and potential Chamber members to exchange business cards, ideas and enthusiasm and to learn more about the host and their business.